The perfect boot to wear with your Gogo or Hippie Costume. 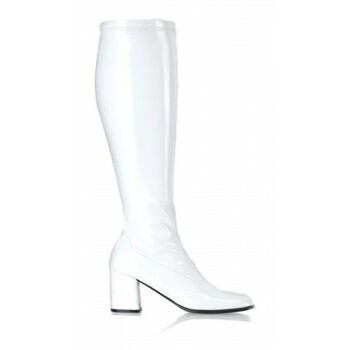 Includes one pair of wide width gogo boots with a 7.5cm heel. 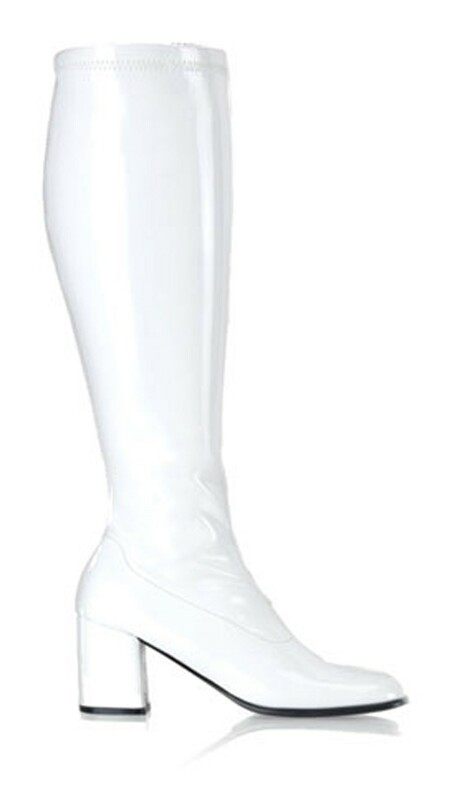 The extra width is in the calf of these boots, and the material does have slight stretch. Sizes 8, 9 and 10 have a 40cm calf. All sizes have an approximate 1.5cm of stretch available in the boot shaft. Our shoes are costume shoes, and not designed for everyday wear. These boots are amazing!! They look and feel well made and are an awesome material. They arrived super fast too...great postage system. My only complaint is that I ordered a size 10, and thought Id have plenty of room being a 9.5 myself. When they arrived I realised the size 10 is more like a size 9...alas, my toes are a little squished at the end. Ill put up with that tho....I really want to wear them to my party!! Thanks! Fantastic service, I couldn't believe they arrived the next day! Good quality, good value....great customer service!! Great Boots and fitted just right.